I'll be spending a good part of today finally getting some of my Christmas decorations up, so I wanted to wear something festive. 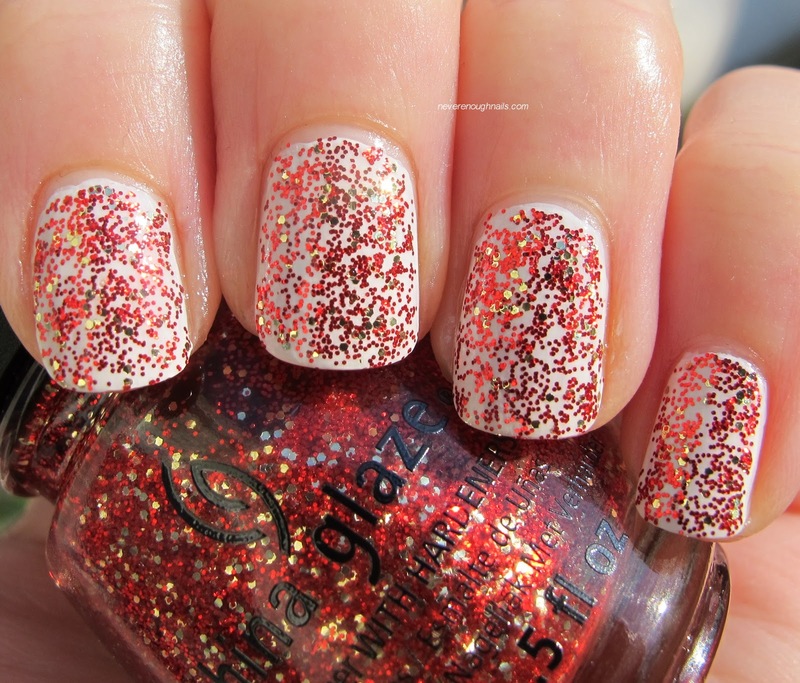 Plus, I have about a billion holiday polishes that I need to wear before Christmas. I decided to layer China Glaze Pure Joy, mostly small red glitter with some medium gold glitter in a clear base, over OPI Alpine Snow Matte for my decorating day NOTD. OPI Alpine Snow is my favorite white, and the matte version is my favorite for fast drying manis. This whole mani dried super fast, which is great when you have no time during the holidays! Pure Joy applied really really well. This is basically one coat, but I went back and dabbed a little bit on maybe three nails to fill in a spot or two that looked sparse. Pure Joy could easily be worn alone in three coats. I think it would also look amazing over silver! 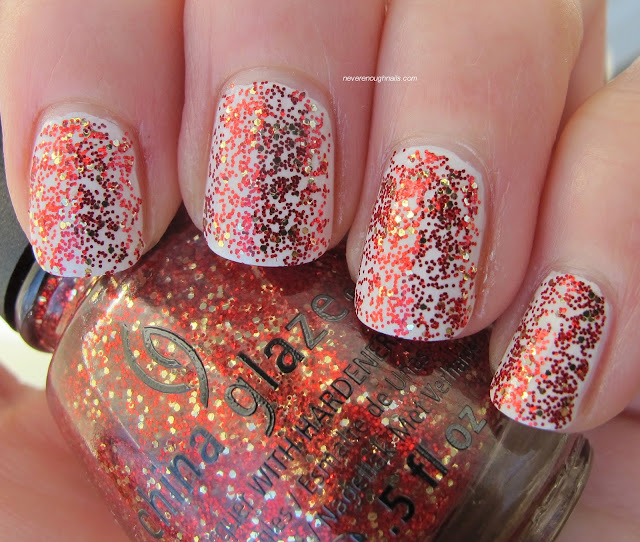 I am really happy with the two polishes I've tried from China Glaze's Holiday Joy collection. I have one more to try that I actually own now (Glitter All the Way), but I think I may pick up two more (Winter Holly and Cranberry Splash)!! 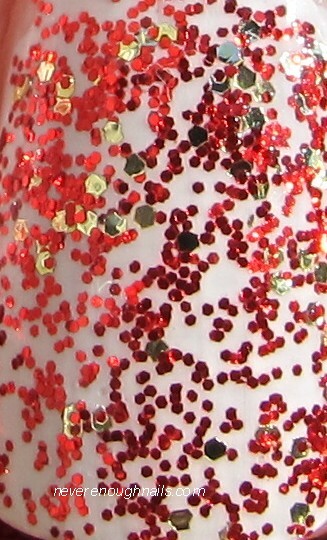 The China Glaze Holiday Joy collection is available now online at 8ty8beauty.com. I'm enjoying wearing it TikiBarbie!